I am a huge fan of WordPress, but from time to time there is some component that drives me absolutely nuts. Usually, I bang my head against whatever virtual wall is facing me until I can’t figure it out and let it go in defeat. (There are no happy endings in computer-related strife for me.) Thankfully, those past problems have been mostly smaller issues. The latest one also may not be a big deal to most, but I am not amused and have decided to let this one go early and save the old noggin some pain. Longstoryshort, I have been reading — for quite some time — this in my “classic” dashboard: “There’s now an easier way to create on WordPress.com! Switch to the improved posting experience.” Okay, new year, new posting “experience,” I’ll bite. Cleaner, simpler layout, neater dropdown menus to reduce visual clutter. You could interpret this as dumbed down, but without having dug into the various settings, I will just say the main functionality of the post drafting editor remains pretty much the same, and ultimately this is most important (to me). So what’s the problem? Well, the tags and categories module. That’s what. Much like the “classic” version, the tags form is just a text box; you begin typing and previously-used matching tags show up. It’s the same, right? Yes…except that some of my tags aren’t showing up as I type. The infuriating part is that they still are recorded, still come up in the classic post editor. The categories form is no longer a nested list of checkboxes, but essentially the same as the tag form. Apart from not wanting duplicate tags and any possible problems from that, this is really an issue for me as opposed to a minor inconvenience because of the numerous categories I employ, and especially because of my sometimes (literally) very specific tags. Between not having to look up spellings, discovering misspelled tags, reminding me of what content I’ve previously posted, etc., it’s actually very helpful to have the auto-suggest feature working properly. I assume eventually the classic dashboard will be phased out. Such is the way of the virtual world, which is fine. Change is sometimes uncomfortable (ask people about the “new” Flickr, “ha”), but so is playing catch up — which is why I like to stay up-to-date on software if I can stomach and/or afford to. Right now, however, with such a basic and important feature not working, I’m just going to stick with the old version until WordPress can look me in the proverbial four eyes and convince me otherwise. 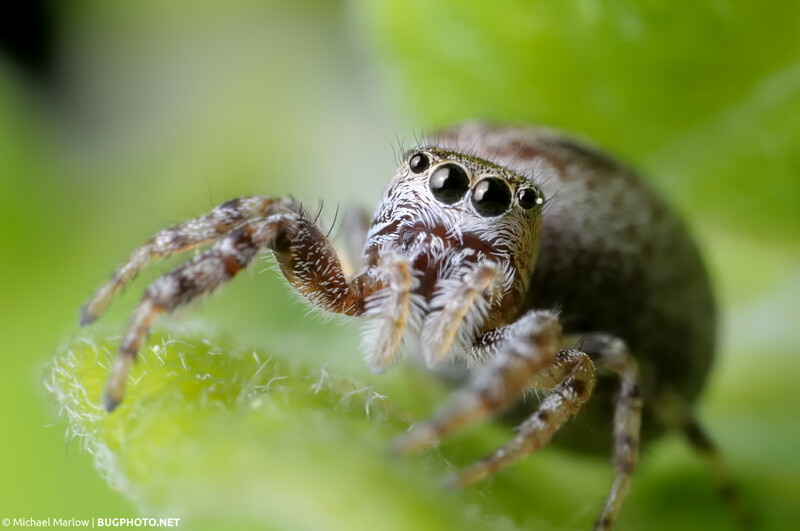 Posted in Jumping SpidersTagged animal portrait, big eyes, jumping spider, Macro Photography, Salticidae, wordpress problemBookmark the permalink. Ha! Thanks, David. Endless opportunities for pain when I’m in front of a computer. In fact GIMP and I, “we” had a fight today. And so it goes. I’m not a Luddite by any means, but once I hit my breaking point, I break. I haven’t posted in a while and, though I dont resist change generally, my attitude is “if it aint broke, why fix it”. Will see how it goes … Meanwhile, love the photo.